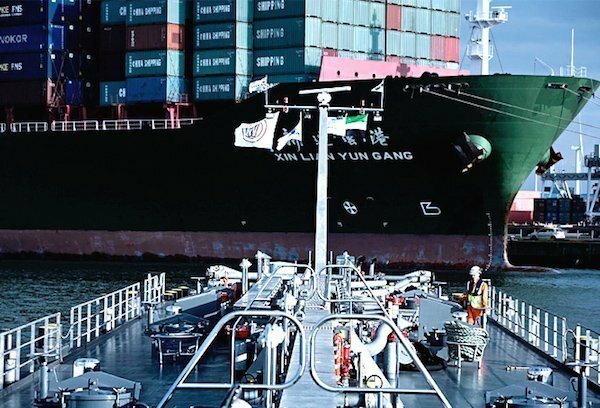 ENGIE, Mitsubishi Corp and NYK Line have launched Gas4Sea, through which they will jointly market the ship-to-ship supply of LNG marine fuel around the world. Gas4Sea will begin operations in the fourth quarter of 2016, using a purpose-built 5,000-cbm LNG bunkering vessel, which will serve vessels at the port of Zeebrugge in Belgium, as well as other nearby ports. “In the coming months, we will start supplying United European Car Carriers’ new dual-fuel car carriers operating in the North Sea and Baltic Sea,” Philip Olivier, CEO of ENGIE Global LNG, said in a release. Jun Nishizawa, SVP and deputy COO of Mitsubishi Corp’s natural gas business division, said the partnership hopes to expedite shipping companies’ transition to LNG marine fuel. “We are at the juncture of achieving substantial emissions reductions in the maritime sector,” Nishizawa said. The three partners have been working together on LNG bunkering since 2014, when they signed a framework agreement for cooperation.